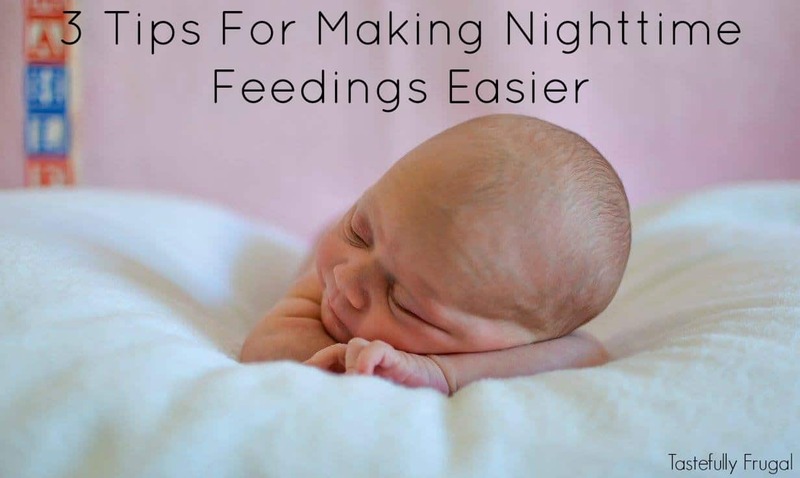 Get through night time feedings easier with these helpful tips. I always forget how exhausting the first year or having a baby is. Even though my kids have all been good sleepers, night time feeds have always been hard for me. Maybe it’s because I don’t like getting woken up or maybe it’s because I can’t fall asleep. Or maybe just maybe it’s because I almost always end up remembering something or needing something and end up fumbling around in the dark trying to find whatever it is. This time around with my daughter it’s been especially tough because she has had a tough time digesting breast milk; she gets fussy and gassy and it’s just so sad to watch. 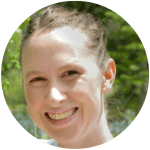 So I was more than just a little excited when Member’s Mark® asked me to write a sponsored post on their Member’s Mark Advantage® formula and how we use it. 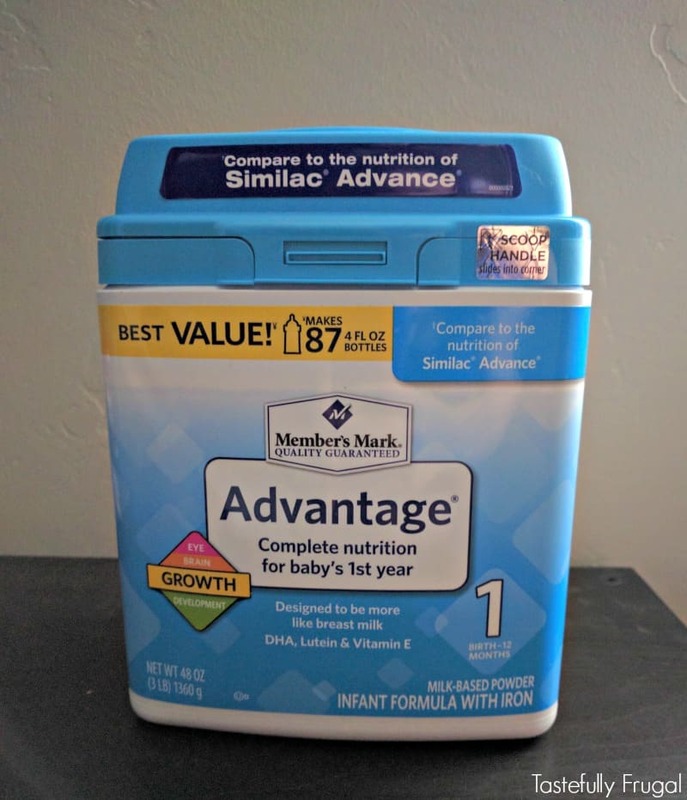 If you use Similac Advance, you should give Member’s Mark Advantage a try. It’s a unique blend of DHA, lutein and vitamin E that help support baby’s brain and eye growth and development. Not only that but it’s almost half the price! And you all know how much I love quality, affordable products. So I’m making sure my baby is getting the care she needs AND saving money; it’s a win-win! As soon as we switched to Member’s Mark Advantage it was like we had a whole new baby; the fussiness was gone. You can find the right formula for your baby using their Formula Finder here (it’s the blue diamond about half way down). 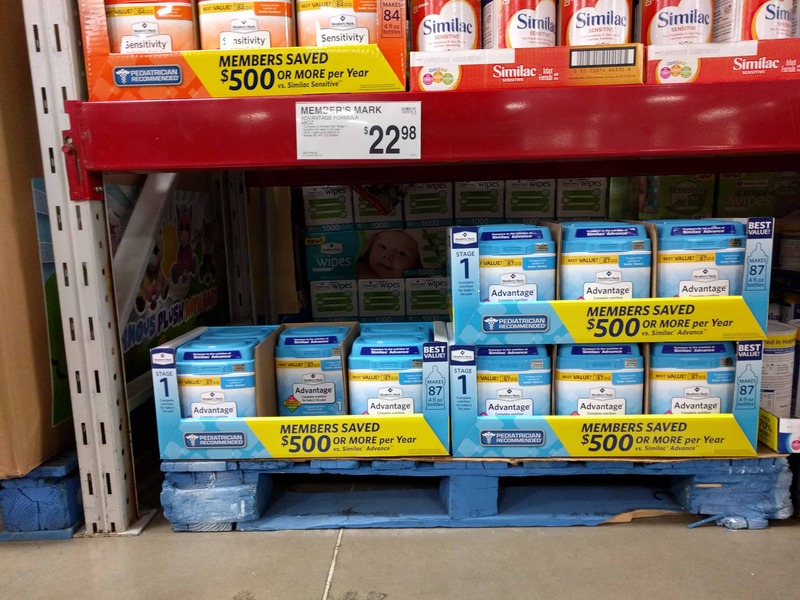 You can find your Member’s Mark formula at Sam’s Club on the same aisle as diapers and wipes. Your first tip is make sure you’re feeding your baby what and when they want. Having a good quality formula, like Member’s Mark, is hugely important when it comes to keeping baby happy at night. Also, feed them when they first wake up. I try to get to my daughter before she starts fussing too much. It’s so much easier to get her to go back to sleep if she isn’t screaming or crying. Also, make sure to have everything you need in one convenient area. 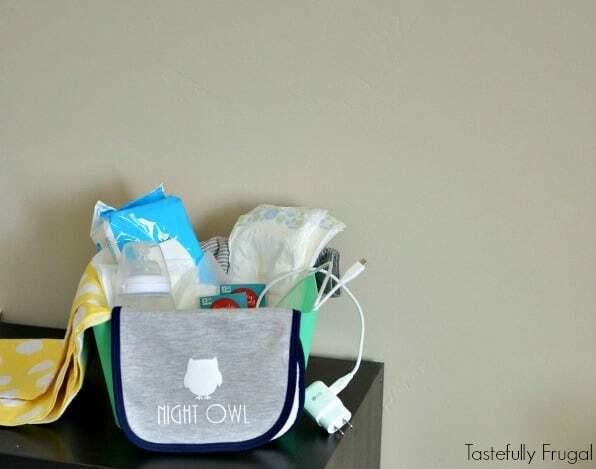 I’m talking everything; formula, bottles, wipes, diapers, burp clothes, snacks, cell phone charger; everything. There is nothing worse than needing something in the middle of the night and not knowing where it is. It’s also good to have a few extra things (like snacks for you) and a cell phone charger just in case those feedings take longer than normal. 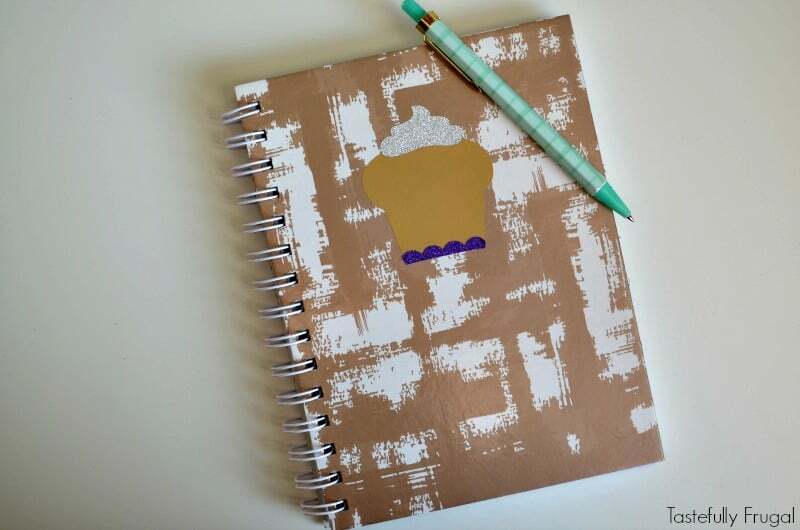 Lastly, have a notebook and pen handy. You would be surprised how many good ideas come to you at night when you’re feeding your baby. Having a pen and notebook where you feed baby really helps you remember those 3AM genius ideas! I’ve done these things for the last few weeks and it has made our nighttime feedings so much easier. The main thing was switching to a quality formula. Member’s Mark Advantage not only keeps Mahle full but I don’t stress about how much it costs. What tips do you have to get through nighttime feedings? This is a sponsored post written by me on behalf of Member’s Mark® Advantage® Infant Formula.